Packaging Details: 500pcs per package, special packaging can be negotiated. 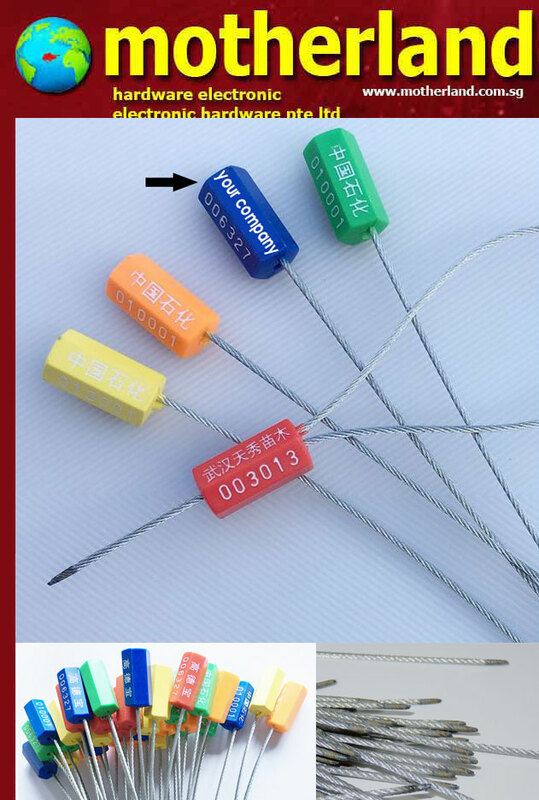 Material features: The lock with a better oxidation resistance and more sturdy, outsourcing ABS; steel wire used in aviation. Sunscreen, anti-oil corrosion; tension-type structure, easy to install. Tensile strength: less than 200 kg, insert the lock, lock to be removed after the wire clamp. This seal is a one-time, once the closure can not be opened, security, excellent, can not be used once again after use! To prevent theft of leaks sealed.